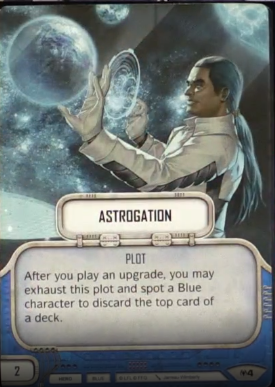 I don’t like reviewing spoilers before I can take a look at an entire set in it’s entirety, but I am still human and get super excited by new cards. While we all eagerly await a full Convergence spoiler list I figure I can split the difference and talk about the new draft kit. I… kinda hate draft. Just not a fan of it in Destiny, but I can totally understand why some people are. A big portion of my distaste for it was its previously binary nature. I always felt that if you weren’t going for a weird mill deck, the card to pick out of any given pile was obvious to the point of being boring. I’m holding out hope that some of the things in the new draft kit change my views on that, but this will primarily be a review of the set as it applies to competitive Standard play. Let’s begin. I like this guy. Right off the top of my head he’s the new obvious partner for Kylo Ren, and performs better on paper than both Anakin Skywalker and Arihanda Pryce. 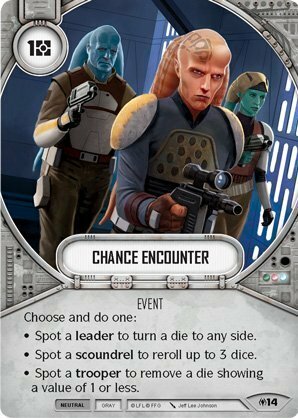 And since Holocron is out of the picture I’d wager he’s better than even Snoke as a partner, Bitter Rivalry notwithstanding. The value of the power action cannot be overstated here. Even aside from the biggest damage dice at the time of release, a huge portion of AWK Darth Vader’s power came from the fact that he reduced opponent options every round. Dooku does the same, but doesn’t require a tempo advantage to make use of it. 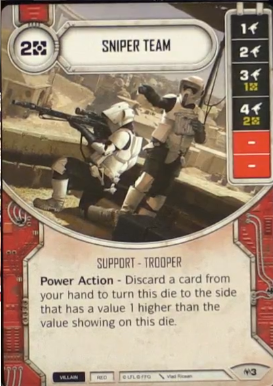 Nine HP is on the low side, but I doubt any non-rainbow deck can really afford to allow Kylo to keep taking activation triggers against them, meaning Dooku gets you to the late game hopefully with a couple redeploy weapons. No paid sides and a nice focus rounds this guy out in a pretty sweet package. Competitively Viable? Unfortunately, probably not. 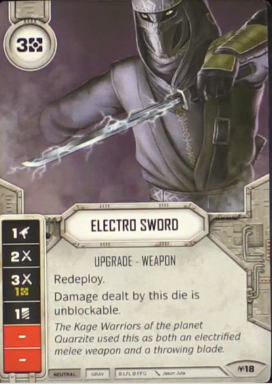 9HP without Force Illusion is a hard sell against Shadowcaster and Vader dice, and his non-elite cost pushes him two points above the line. Crossguard by another name… But different. It’s really cool to see some very simple things that we’ve seen previously remixed into something totally distinct from what has come before. Damage from hand is always nice, and this certainly passes the “Is it as good as Shoto?” test. 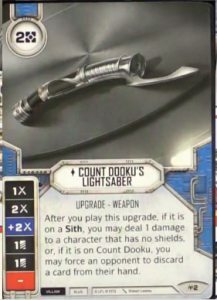 While the damage doesn’t proc off of Kylo, expect to see two of these with every ATG Vader, Legacies Dooku, and possibly even Legacies Palpatine. But the real backbreaker here is using it on Draft-Dooku himself with the power action, ripping 40% of an opponents hand prior to even rolling out. It is also nice to see the double discard sides here, giving people drafting mill a solid include where they didn’t have one before aside from BWG. Competitively Viable? Absolutely. Don’t get me wrong, it’s no Ancient Saber, but villains like what they get here far more than Treasured Lightsaber… Though perhaps not quite as much as Grappling Boa at the same cost. This is everything you want in a core draft kit, I’ll say that. What this is going to come down to is deck space, pure and simple. It’s good, but I can’t help but feel like it will be card numbers 31/32 in many decks that otherwise would love it simply because it shreds your tempo. Competitively Viable? Yes, for decks that don’t need to roll first. 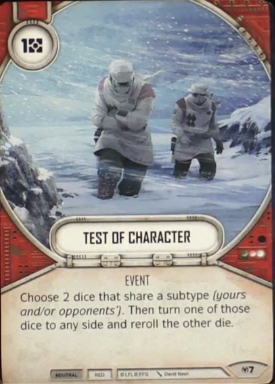 The Trooper subtype most likely opens up additional room to maneuver as well, and the 2-cost side is neither here nor there when evaluating the card. 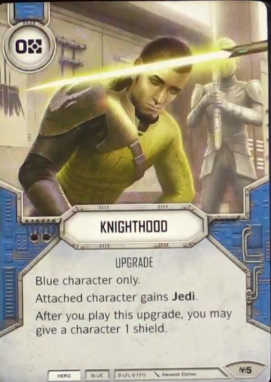 That three ranged side is quite nice, especially for Snoke decks that want roughly the same effectiveness as a Hand Cannon without tying it down to a character, with solid upside when you’re flush with cards and/or cash. Okay I don’t even know if this is worthwhile even in a dedicated mill draft deck. It’s not unreasonable to assume you can get three cards out of this plot, but two points is a very hefty price tag. Competitively Viable? Absolutely not. 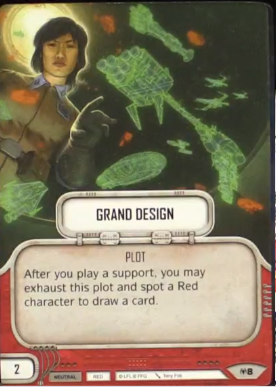 I just can’t see this ever being a better option than Taking Ground to prevent Theed, or Stolen Intel to smooth out your first round. Especially now that Force Speeds and Force Illusions are gone. Every set has filler cards, here’s one. Take Cover plus Jedi tribal enabling. Sure. It’s never going to be the worst thing in the world to get an HP for free but this puppy reads “Discard this card to reroll any number of your dice” to me. A pilot AND a Trooper. Value. 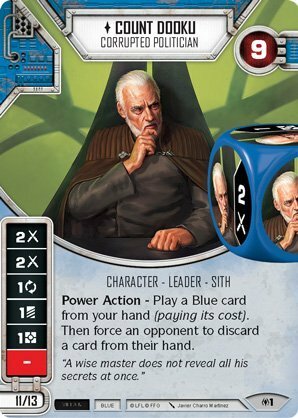 He’s every bit as playable as Dooku in draft, and the power action is actually really good insofar as there are playable red cards. Never turn down free damage right? Competitively Viable? No. 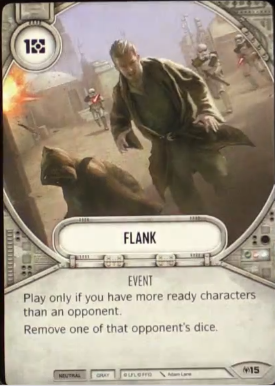 Vehicle decks want Wedge and gun decks want Rex at this cost, and both Rose and Cody come in under Fenn’s point value, leaving this guy strictly in your draft box. Even if Hero troopers become a big deal, Clone Trooper carries the banner at a three-point discount. Woah. Incredibly versatile no matter how you look at it. Almost always better than your pick of Recon, Emulate, or Targeting Computer. Don’t get distracted by Trooper/Sith/Jedi typing, and pay more attention to the things that say Upgrade – Weapon. Competitively Viable? Really difficult to say without peering into the future, but red decks of any stripe are always looking to either press an advantage or dig themselves out of a hole, so until proven otherwise I think the sheer utility of this earns at least one slot in most red decks. Hmm. I do love drawing cards, but support-based decks usually run right up to the 30 point mark to get more health. Competitively Viable? No. 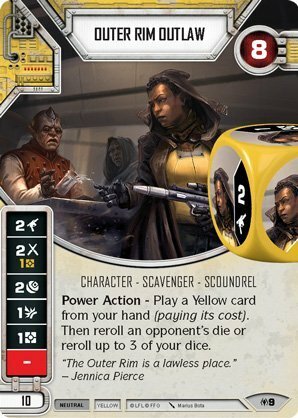 The second a character can come in at the usefulness level L3 currently has but for two points cheaper is the second vehicle decks upgrade their third character from Gungan Warrior to Rebel Engineer. And even then, I’d rather just shave one additional point and take Armored Reinforcement. This guy. This guy is so awkward. 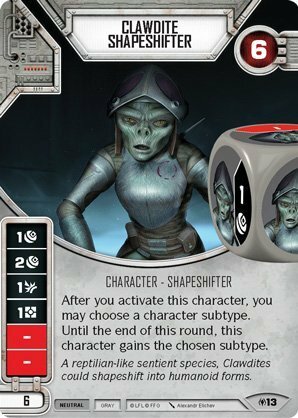 Paid sides on char dice are my bane, and if you want me to spend a third of my points on an 8HP character, naming it Maz Kanata is a better way to convince me. On the villain side of things, Val and Mando Commando strike me as better choices. This guy is really nice on ambush events though. Take Flight and In The Crosshairs are the only two things thus far that meet the standard though. Competitively Viable? Nope. Better options by far for both hero and villain, and re-rolling is nowhere near as good as removing or focusing. Dooku got you down? Shadow that guy, make him pay. Fenn? Low rent version of BT-1 now. 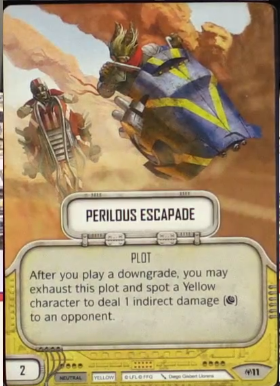 I can see why this card was made, and it makes yellow a pretty attractive color to be in. Competitively Viable? Ask me later. If there’s downgrade synergy to be had then I love anything free (not to mention making Snoke’s PA cost two HP). In a vacuum though, I don’t think this one card makes the cut. How many downgrades are going to get printed? Again, two points is a huge barrier to entry. Competitively Viable? Even with downgrade synergy, this seems like a stretch. Mando Commandos don’t get played currently, and they have direct damage every round pegged to an easier condition. Now this is a beat-stick and a half. For the cost of resolving Force Storm ONCE, this die gets resolved THREE times. Sure it doesn’t ramp itself, but does it need to? It has it’s issues, and opponents can disrupt you out of resolvability, but that doesn’t spook me any. The format-warping thing it does is require all Yellow decks to run 2x Vandalize, which was already probably a decent idea anyway but is now an unavoidable fact. 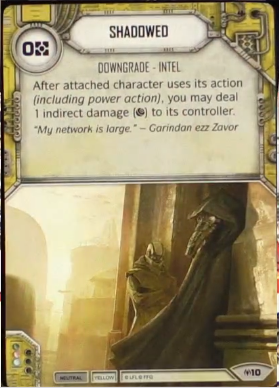 The effectiveness of this card probably makes every deck want to run yellow just to run it AND vandalize to be honest. Competitively Viable? I think so, absolutely. Even if all you do is look at it just as a two-cost weapon with redeploy that shreds your tempo I think you still end up pretty pleased with the flexibility it provides. 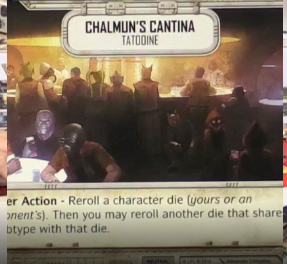 And at it’s absolute worst where it gets immediately vandalized, it disrupts, discards, and removes an opposing char die and acts as a psuedo shield generator for whatever else you had going on. 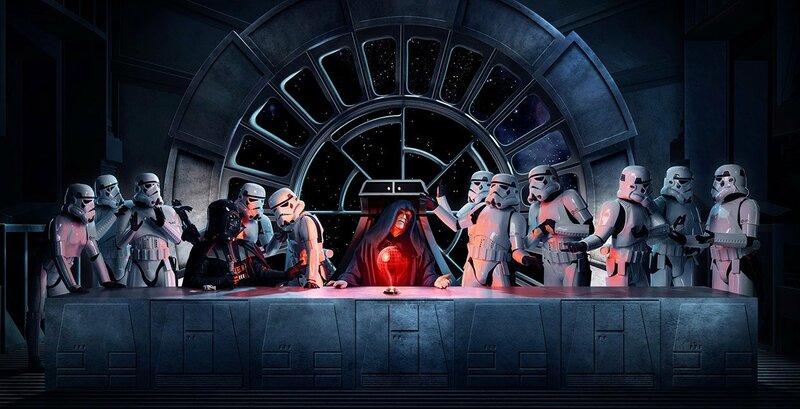 It’s no Vader’s Fist, but it can do a REALLY good imitation of one for a fraction of the cost. Ah, so this is why all the plots cost 2. 6+11+11+2=30. It is nice that you can get an even 30 points out of just the kit, even if two of those points are somewhat feel-bad expenditures. Tribal enabler all around and no paid sides, I like it more than Jawa. Competitively Viable? 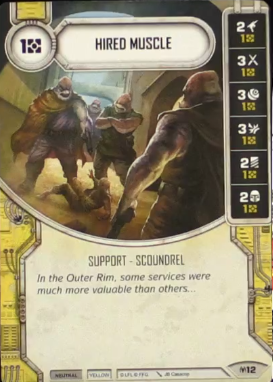 Well, it’s not red so Gungan still probably keeps his seat in Hero decks. 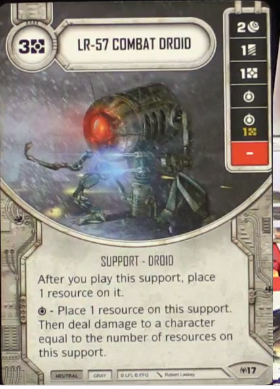 Anyone who was running Vader/Jawa is now rolling this creepy looking thing out though, with a slight, but measurable efficiency increase. Tribal stuff! None of these modes is very good, though, and to turn any one of them on with just the shapeshifter you need to see the future. Draft filler. Competitively Viable? God I hope we don’t sink this low. Flank is Flank is Flank. It’s good! Competitively Viable? Yup. Was before, is now. And it’s a good sign to me that it seems like one money for one die with a reasonably easy to meet and easy to anticipate condition will be a perennial card. Happy to see the lifespan on Flank extended by yet another year. It’s the name on the box! They said it and we all clapped! Two extra points is a LOT of extra points, and it’s pretty easy to see why the drawback and conditions are so major. For what really comes down to rolling back every Balance of the Force to date, it would have to be hard to prevent people from going nuts. It also opens up a few more options in draft where the loss of starting resources isn’t quite the backbreaker it is in Standard. Competitively Viable? 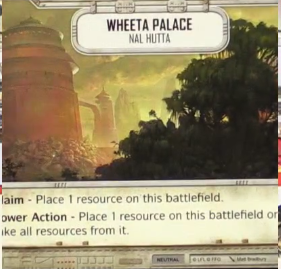 Thankfully it seems like the playtesters and FFG really didn’t want this to be playable. Or they just didn’t want to spend the time mathing out every other possible starting lineup. 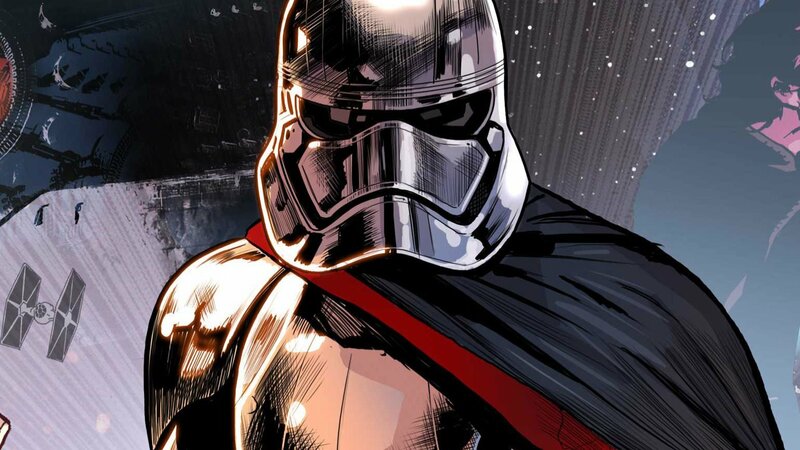 That being said, Vader/Talzin is now in the mix, and the first test point for this plot. Coming in hot on their heels though, is Dryden/Bib, who could very well not care about resource loss at all. Draft games do tend to extend out for a lot of rounds, but do they go long enough to make this worth it? Even assuming you can play it round 1, the special needs to be resolved at least once before the die can even start to pull the weight of it’s cost. Competitively Viable? Not even with an Aphra discount. Eyyy, it’s expensive Vibroknife! With a ranged side? Is someone… Throwing swords? Fine in draft if for no other reason than because it has redeploy and it enables modified sides. Competitively Viable? IDK, look at Dagger of Mortis and Heirloom Lightsaber and you tell me how it stacks up with Force Illusions gone. I like that type-agnostic Tribal stuff extends to the battlefield, and takes a little more sting off maybe being forced to run the Changeling. Competitively Viable? Ehh. If it’s worth taking at all it’s probably only going to go great with Troopers, since red is usually the color needing to reroll the most. Everyone else probably just sticks with what they have, and what they have is a whole lotta Theed at the moment. This battlefield is so cool, and very very well designed. 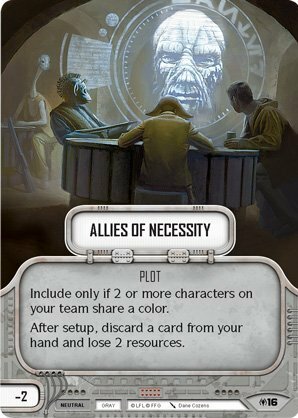 There is an incredible amount of strategic depth to be found in just this one card absent anything else in the game. Competitively Viable? Whoever actually sat down and designed this card, I want you to know that you are appreciated and I see the work you did. I’m sorry I can never run the risk of playing this while Theed still exists. Discard sides, tribal options, and a guaranteed three-char team with an… Acceptable plot all go a long way to make me more amenable to drafting. There is still a very high priority on drafting 8/9 Point characters out of the packs you open, but I don’t think it will doom you to the losers bracket if you don’t get one like it could with the previous sets. I do think that Hired Muscle takes the spot of Fang Fighter in the “I must have this color or else” category, and I don’t like seeing one die towering above all others in usefulness. 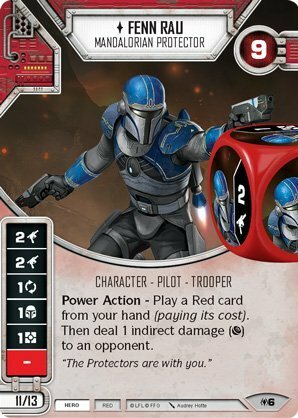 Red especially seems to be the color of last resort in this kit, lacking the super-synergy found with both Dooku cards. The battlefields are far more interesting than the last ones we got, and are a subtly powerful way to influence how games will feel in practice while the events themselves are more suited for a dynamic experience. Absolutely, you should buy two. 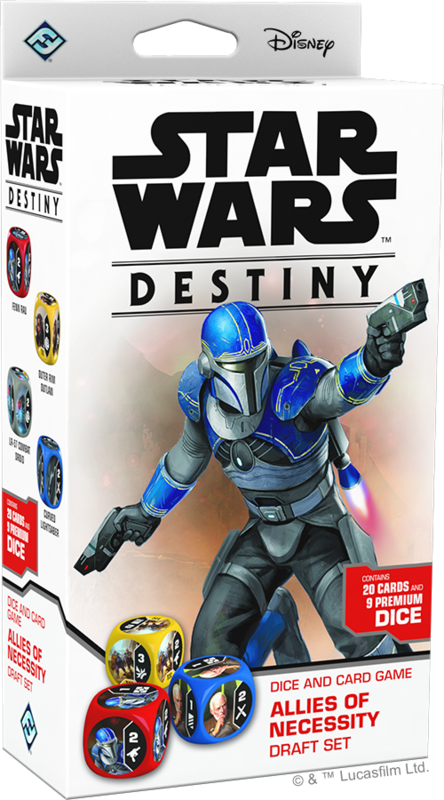 FFG has some shrewd business sense here, and the least controversial claim I can make is that Count Dooku’s Lightsaber and Hired Muscle are going to be cards you want two of. If that isn’t enough, I’d be willing to wager that Test Of Character is good enough across the board competitively. Please don’t make me draft, I’ll be good I promise.